I thoroughly enjoyed my first time attending the third staging of the World Social Marketing Conference in Toronto, April 21 to 23, 2013. There was discussion about the definition and practice of social marketing. 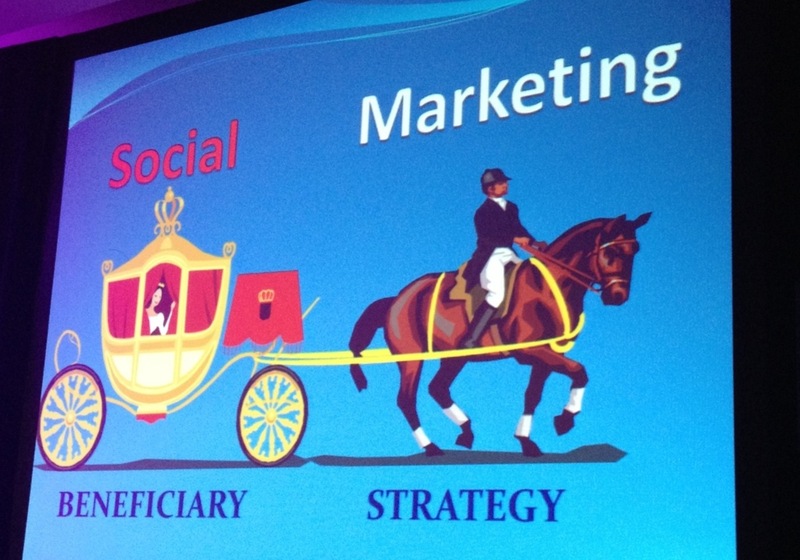 And Nancy Lee said it best when she noted that SOCIAL and MARKETING go together like horse and carriage. It was great meeting people doing social marketing from around the world and from different academic disciplines: public health, business, marketing, environment, medicine, behavioral economics. Social marketing is truly interdisciplinary. The future of Social Marketing is looking great. I can’t wait to go back to the classroom and share more. Looking forward to the 4th WSMC in Australia in 2015. 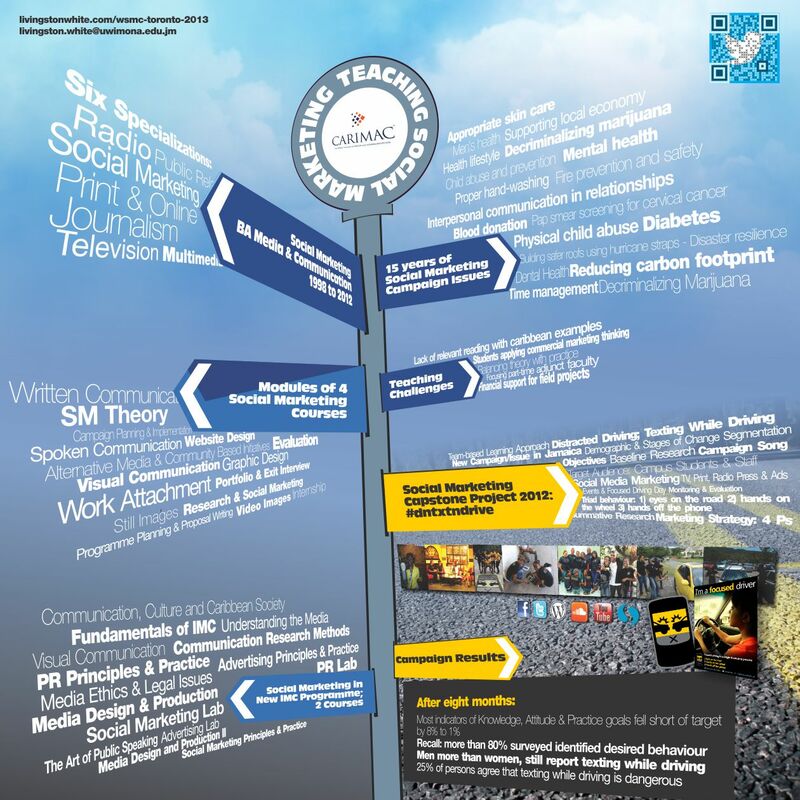 Here is a view of my poster presentation for my poster presentation at World Social Marketing Conference, Toronto 2013 “Teaching Caribbean Students to Make the World a Better Place: Review of CARIMAC’s Social Marketing Courses”.